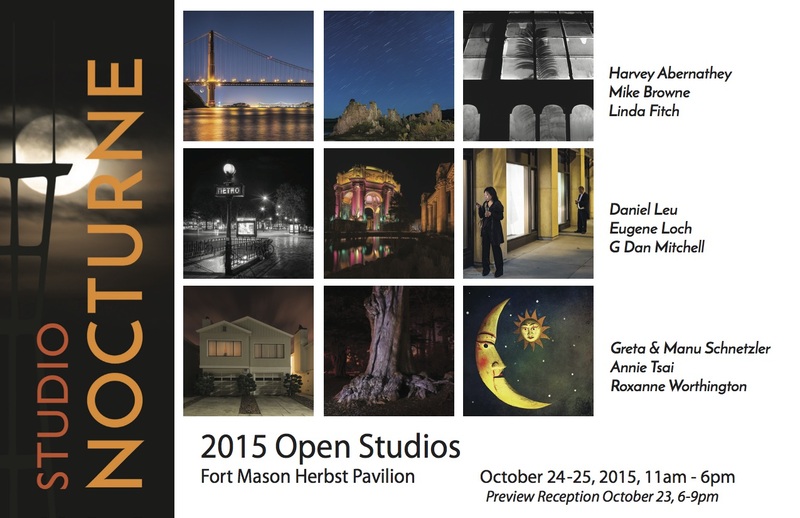 It is Open Studios Weekend! Just a little reminder: My Open Studios show is coming up this weekend! I will again show my work together with Studio Nocturne. The big difference is the location. We will be in the Herbst Pavilion! You’ll find me in the middle aisle in booth #93. Friday night: Off-the-grid food trucks. Yeah come and have dinner at Fort Mason! Sunday morning: Farmers market. They have several food vendors. This is where I will have my breakfast. If you come early enough, parking should be easy to find! I am looking forward to seeing you this weekend!